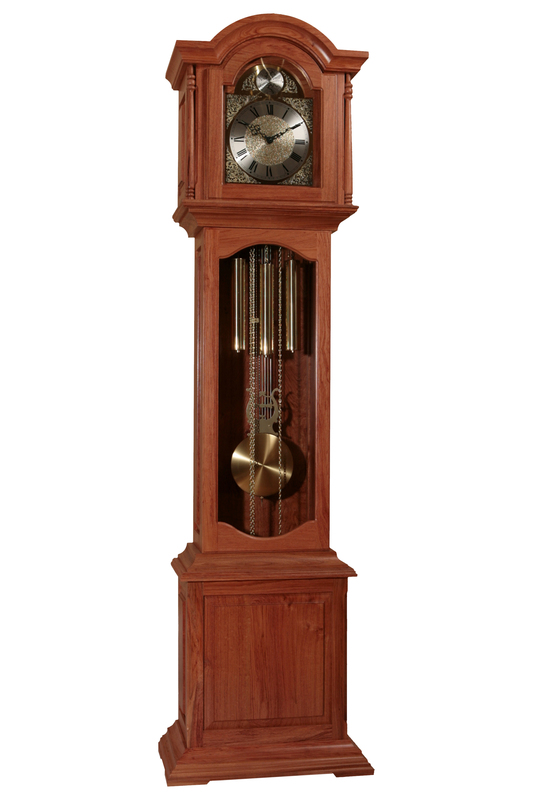 The removable arched hood and ceiling (only clock in the range with these features) of this floor clock compliments modern and traditional furniture. The columns adorn the sides of a Tempus Fugit dial. The rails are detailed. It is pictured here in African Rosewood. The 8-day mechanical Hermle movement plays the Westminster melody and has an automatic night silencer option.